AR-10/.308 SR-25 magazine designed for 7.62x51mm (.308 Winchester) caliber variations. Features the SENTRY HEXTURE™ pattern recognized by shooters for maximum grip and durability. The magazine features the SENTRY patented Tool-Less Design for fast and easy floorplate removal allowing field cleaning and HexID® color customization. 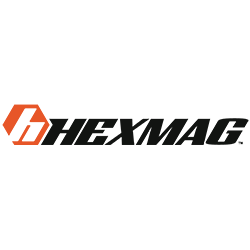 Incorporates the industry’s most popular and functional accessories including Hexmag Grip Tape and SENTRY HexID Color Ammunition Identification System.